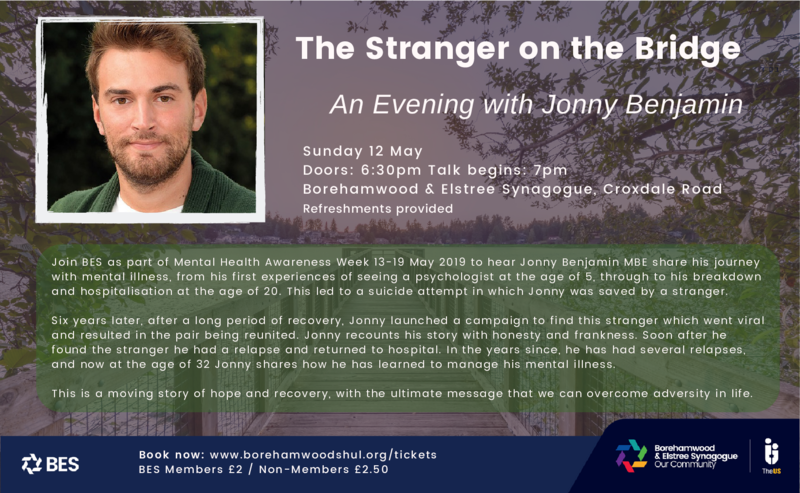 With nearly 1,500 member families, and over 4,000 members Borehamwood and Elstree Synagogue (BES) is one of the fastest growing and most vibrant Jewish communities in the UK, and the centre of Jewish life in Borehamwood. Led by a dynamic lay leadership and religious leadership consisting of Rabbi Alex Chapper and his wife Eva, Rabbi Yaakov Finn, and our Emeritus Rabbi, Rabbi Alan Plancey, BES is a thriving hub of Jewish activity. Every Shabbat, hundreds of members attend services on the Croxdale and Yavneh sites, with over 250 children and youth attending specific services, while we have an even broader number of services and education activities on chagim, to cater for even greater numbers of people. 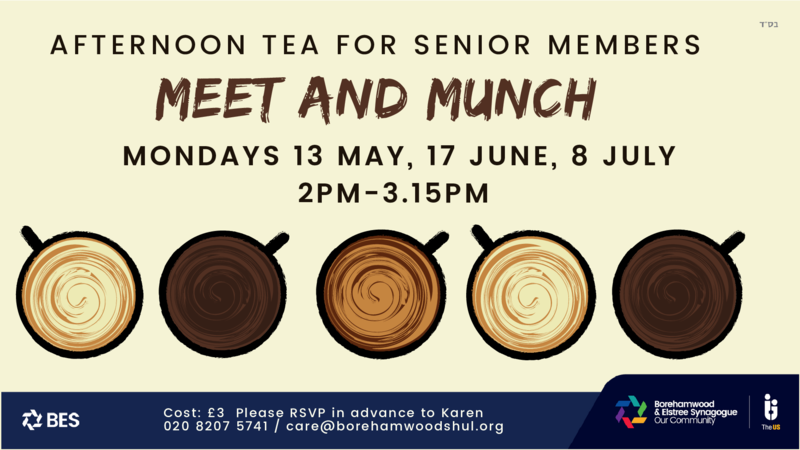 Within the community, there is a wide range of activities held on the synagogue complex each week, including daily and weekly services, educational programmes for adults and youth, and events specifically for the youngest members of BES. For further information about any aspect of our community, please click on the relevant links website, or go to the Contact page if you'd like to get in touch. 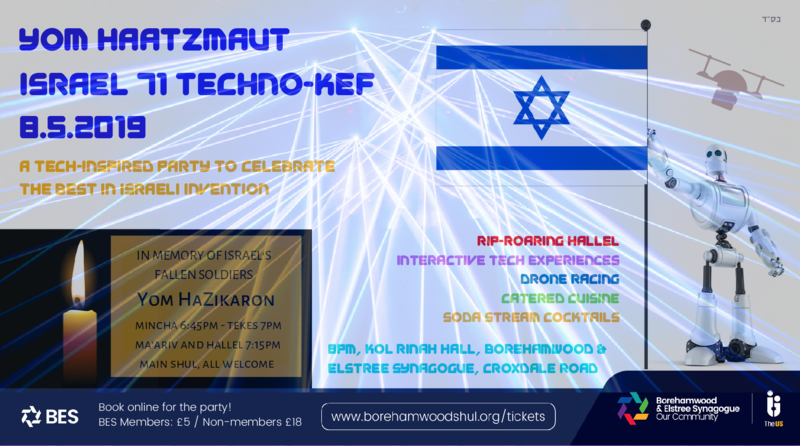 To book for our forthcoming events visit www.borehamwoodshul.org/tickets.